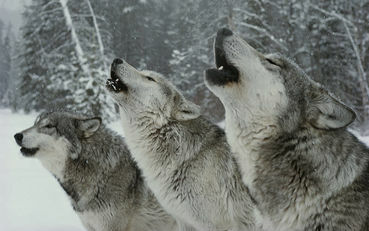 After hundreds of hours listening to thousands of wolves for my PhD, the difference between howls was obvious. The voice of a Russian wolf was nothing like that of a Canadian, and a jackal was so utterly different again that it was like listening to Farsi and French. I believed that there must be geographic and subspecies distinctions. Other researchers had made this proposition before, but no one had put together a large enough collection of howls to test it properly. A few years later, my degree finished, I told my Dracula story to the zoologist Arik Kershenbaum at the University of Cambridge. My conclusion...we are ALL connected. Please note, comment, and forward. Totally wicked cool! Thx so much for sharing Fiona. Thank you So Much for Sharing Fiona!!! Wolves are wonderful animals, and so misunderstood by many. While I know that sound....TY for posting!